Innovation is the cornerstone of our success. 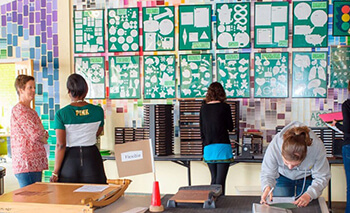 We extend this passion for creative collaboration by supporting educational programs through partnerships, and by offering financial assistance for education and research at the forefront of innovation. 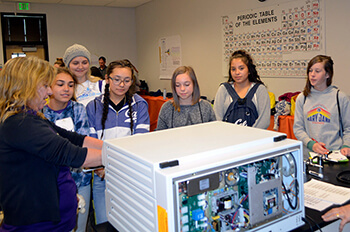 We partner with the Society of Women Engineers on the Girls Exploring Science, Technology, Engineering and Mathematics (GESTEM) event in Colorado that aims to encourage sixth and seventh grade girls to explore opportunities in STEM. 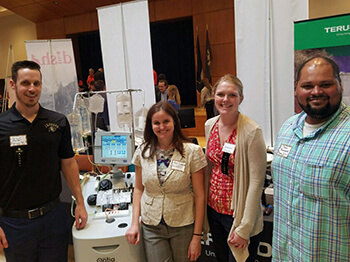 In 2017, Terumo BCT was a titanium sponsor for the 14th annual GESTEM event. Terumo BCT's initial involvement started with just a few associates who worked as event chaperones. Our participation has grown to 60 associates from many different departments within our organization. 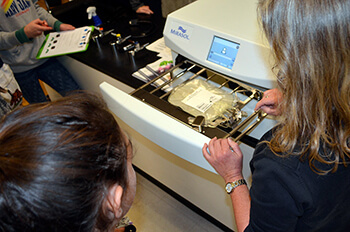 Our first hands-on workshop, "Blood: It's Not Just for Vampires," featured blood basics and blood separation. 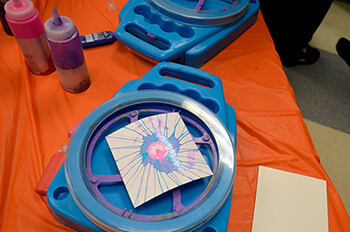 Participants tested the concept of centrifugal force by creating spin art. 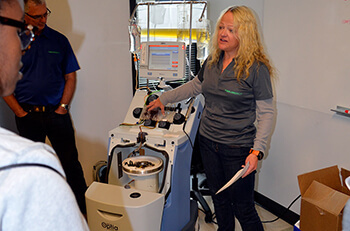 Over the years, the workshops have continued to evolve and now include the power of UV light and the Mirasol® Pathogen Reduction Technology (PRT) System. 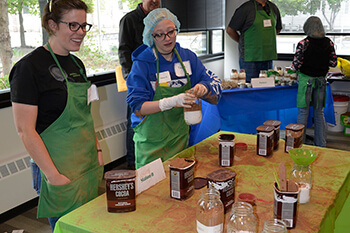 In another workshop offered, we partner with Ball Mason Jars to demonstrate the concepts of lean manufacturing through a brownie production line. Watch a video created by the Society of Women Engineers to learn more about the annual event. 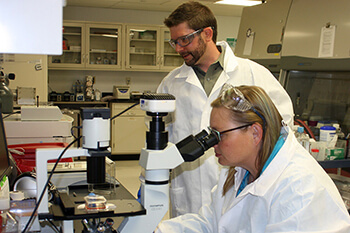 For the third year, Terumo BCT supported the Colorado Bioscience Institute's Research Experience for Teachers (RET) program, designed to introduce teachers to industry research in Colorado and to provide ideas and inspiration to take back to the classroom. 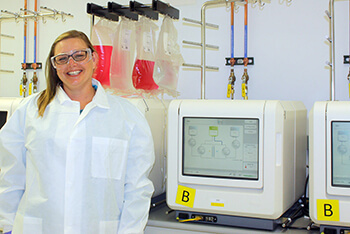 Kelly Geerdes, an elementary and middle school technology and engineering teacher at the science, technology, engineering and mathematics s (STEM) Magnet Lab School in Northglenn, spent 4 weeks in June shadowing professionals at Terumo BCT. 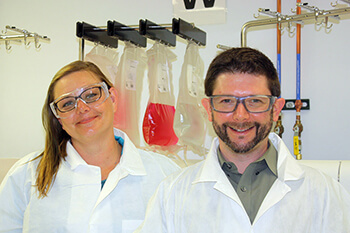 Watch a video from Colorado Bioscience to learn more about this inspiring program. I participated in the RET program to gain authentic experiences in a STEM-based career so I can better prepare students. The RET experience has given me the opportunity to see science and engineering in action. 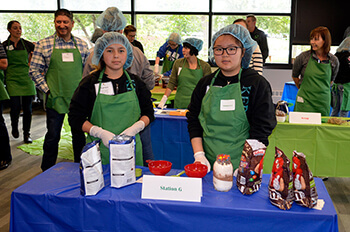 Each year the Resource Area for Teaching (RAFT) Colorado empowers more than 3,600 educators to build their students’ minds through interactive, hands-on learning. RAFT embraces teachers as the primary catalyst for excellent student outcomes. To support teachers in bringing the power of hands-on activities into their classrooms, RAFT provides personal coaching, practical workshops, affordable supplies and innovative ideas. Annually, 270,000 Colorado students are impacted by RAFT’s programs. The team was extremely engaged and passionate to learn and be successful! They have a wide array of backgrounds and experience. It was great to see how they applied those various perspectives to the task at hand. In addition, this was a good opportunity for them to apply the theoretical learning they got in the classroom to a real-world problem. It was incredible to see how quickly they embraced the project and worked together to make an impact! Our engagement began at the Corporate Challenge kickoff breakfast, where Mark Bishop, Senior Vice President, Associate & Organizational Effectiveness, and Sara met with the team of students for the first time. Sara maintained weekly contact with the team throughout the 10-week challenge. During the mid-quarter check-in, students visited Terumo BCT's campus. Finally, the students conducted a final presentation for Terumo BCT executives at the beginning of June and submitted their final deliverable. Terumo BCT maintains a thriving, multidepartment paid internship program. 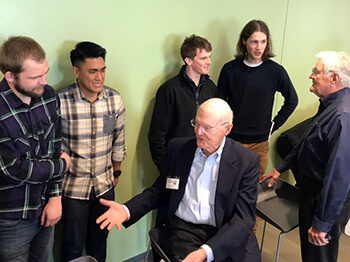 Within our Engineering group, we have had nearly 100 student interns over the past 6 years with more than 80 percent of eligible interns converted to permanent employment. 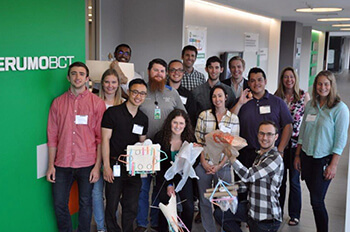 Terumo BCT’s Ideation Lab employs a large pool of Terumo BCT's interns—primarily students in their last 2 years of undergraduate studies and graduate students. Most have degrees in biomedical science, electrical engineering, chemical engineering or mechanical engineering. And more than half of those interns accept offers to become full-time associates. Many recent graduates have great design skills on CAD systems and 3D modeling, they are very enthusiastic and eager to learn from senior engineers. That blending of that junior engineer and that senior engineer … there is a lot of magic there. 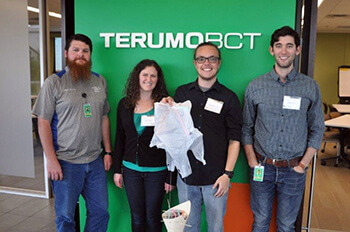 In 2017, Terumo BCT launched a new internal internship program in response to feedback from the Associate Engagement Survey. These new engineering internship positions were created exclusively for existing associates at Terumo BCT who are working on or have completed degrees in mechanical engineering, chemical engineering or biomedical engineering. These positions are 3-month temporary roles to work with the I&D engineering teams on engineering projects. 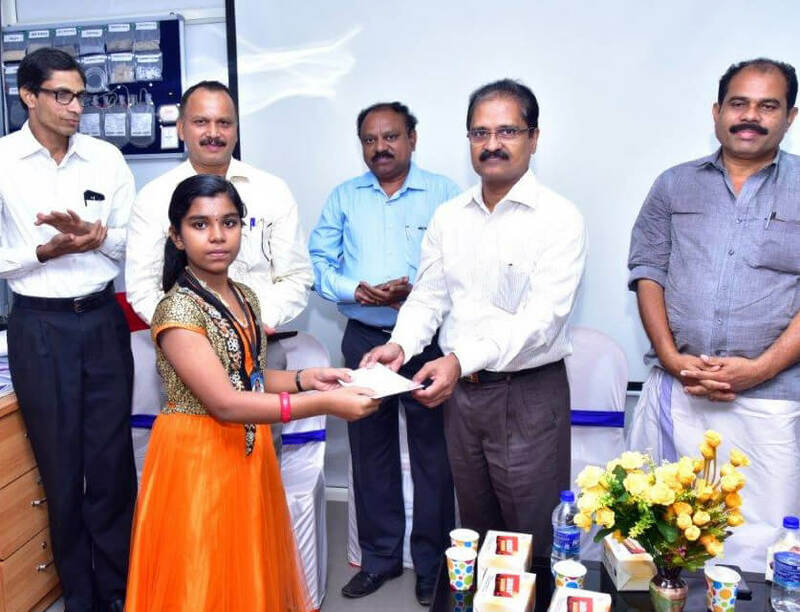 Terumo Penpol (TPL) in India, one of the company’s manufacturing locations, has taken a special interest in four lower primary schools located within 5 kilometers of our facility. Since 1999, TPL has invested approximately $500,000 USD to support the schools. In 2017, this included notebook distribution, subscription of newspapers, donation of library books, and funding science classes and the Smart School Program for creating high-tech classrooms that make learning easy and enjoyable. 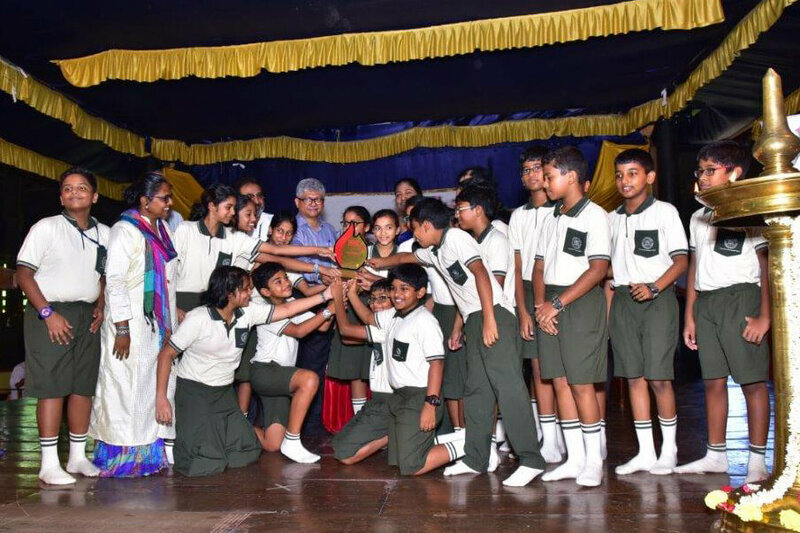 We host annual quiz programs, distribute scholarships and celebrate National Technology Day. At the primary schools, TPL ensured that students had functioning and well-maintained water, sanitation and hygiene facilities. As a commitment to promoting wellness, our associates introduced tennis classes and provided the students with shoes, uniforms and equipment. 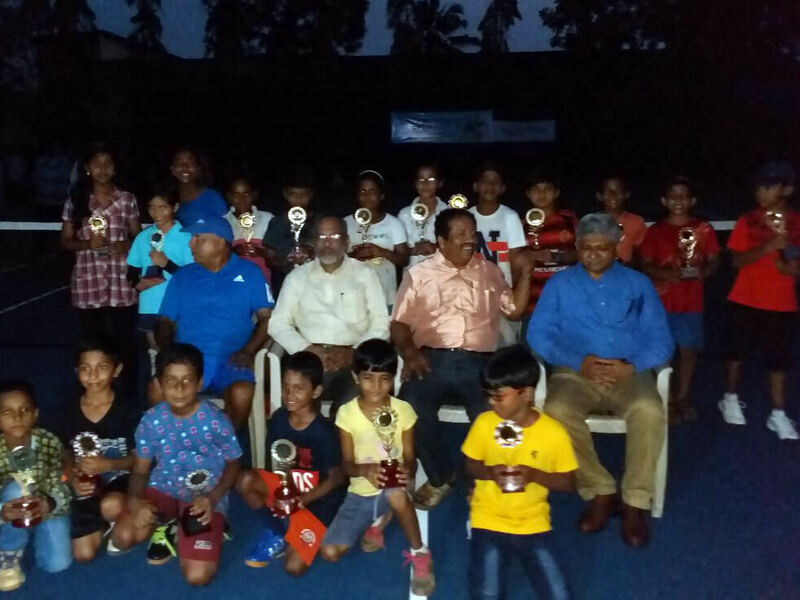 They also host the annual All Kerala Mini Tennis Tournament. We support the Trivandrum Sports League, a year-long program for identifying the most talented athletes in the district and promoting a culture of adopting a healthy lifestyle through sports. Book Trust empowers children from low-income families to choose and own books, cultivating literacy skills and a life-long love of reading. 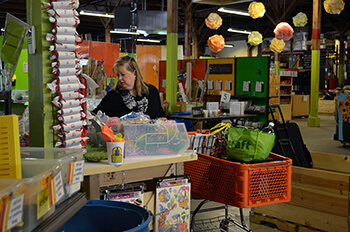 The program enables students from low-income backgrounds to select and own up to 30 books per year, which has a tremendous impact on a child’s relationship to books and reading. 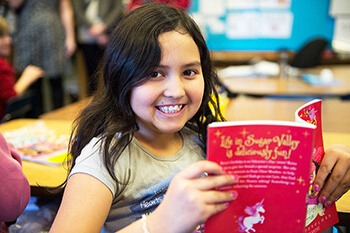 During the 2017-18 school year, Book Trust will serve more than 53,000 students in 19 states; 21,000 of these students live in Colorado. 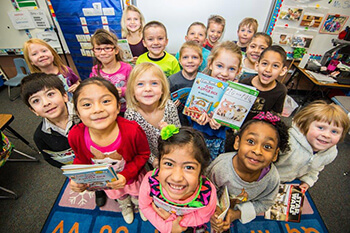 Terumo BCT’s grant of $5,000 USD supported 50 kindergarten children at Bryant Webster Dual Language School allowing them to select 2 to 3 books each month of the school year from the Scholastic Catalog. Bryant Webster is a high-needs school in the Denver Public School District; 87 percent of the students qualify for free and reduced lunch. Minority enrollment at Bryant Webster is 97 percent of the student body, more than twice the state average of 44 percent. In addition to the financial grant, Terumo BCT provides leadership through regional and national Board of Directors service by Mike Wade, Terumo BCT Chief Technology Officer, and David Perez, Terumo BCT CEO. 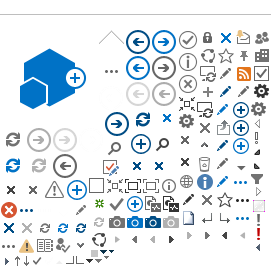 We share a passion for thinking in new and different ways. Our natural curiosity brings us closer to unlocking the potential of blood, transforming scientific understanding into practical application. 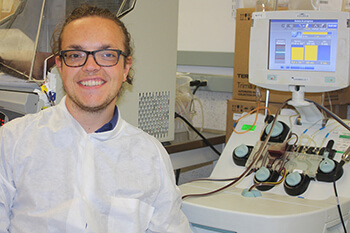 We proudly offer an annual grant program to encourage academic discovery and recognize new practical application that fuels our ongoing quest to unlock the potential of blood. 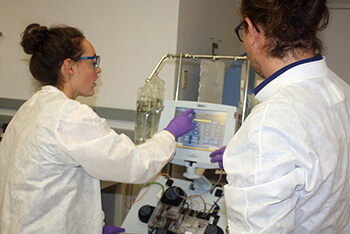 The Advancing Apheresis Award is an educational grant of $10,000 USD to the organization or institution that best displays a dedication to advancing apheresis. In 2017, the 5th annual award focused on bringing on bringing perspective to cell collections for immunotherapy and was awarded to the University College Hospital London. The project team will use the funds to support educational initiatives, building on their expertise in optimizing T-cell collections for immunotherapy. One of our 2017 educational and research grants supported Pancreatic Cancer Europe to raise awareness of liquid biopsies in the treatment of pancreatic cancer.